I started playing World of warcraft in 2010 after finally deciding I would join the world of online games. I’ve always played fantasy games and would usually chose a caster role so naturally my first toon in WOW was a mage. I was instantly hooked by the game, the scenery is beautiful, though it took me a long time to feel comfortable talking to other players. Once my mage got to level 85, I started new toons and my love of alts began.I made a Holy Priest next and was hooked on a healing role. However, when I made my first druid, my real love began. Druids are by far and away my favourite class with their ability to carry out any role and to be able to shape shift into bear, cat, bird or tree form. You can’t go through Azeroth without at least trying druid once. I mainly play and raid on Barthilas with my horde toons though one day I’d like one of each class at max level and maybe even one of each race. 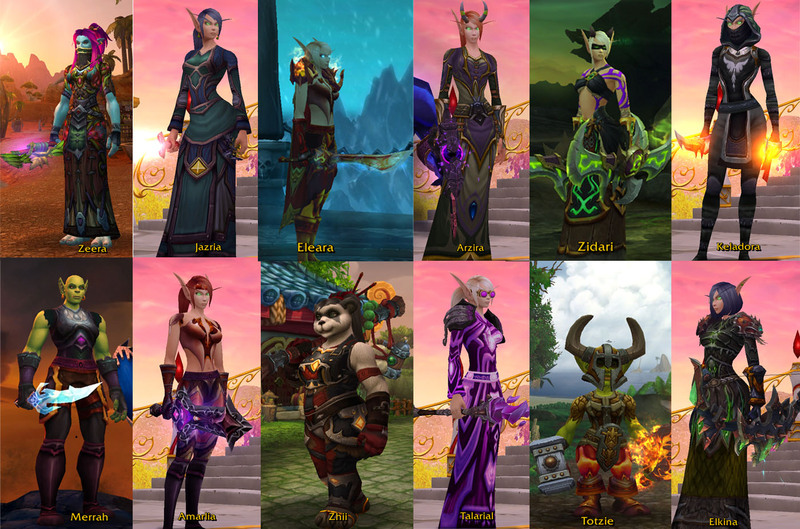 I have tons of low level alts spread across different realms to see PVP and RP life. I spend so much of my time thinking and reading about world of warcraft that I thought it was time I added my own thoughts out there. This blog is basically my general musings and experiences that I come across in my playing. I just had to comment on your characters! I too started with a mage, then switched to a holy priest, then finally played a druid and fell in love! … For a moment I was reading and thinking, wait a second am I reading my own blog here? Haha. Anyway, it hit me when you said that you played Alliance, because I am in fact on Horde 😛 … but my druid is Alliance, and one of the reasons why I stopped playing her because she was lonely. So my priest always has, is and always will be my main. But it’s so cool to here that we thought alike! Hi, nice to meet you :). That is funny about the toons we both made. My druid’s horde now and I have to admit I love the horde perspective of the game. I was actually reading your blog the other night, I love your companion pets post. Yeah, I am so used to Horde I find it hard to play Alliance. Hi Zeirah, I started blogging about WoW around March of 2018. I wanted to let you know that I appreciate everything on your site and you have helped me come up with a few ideas for improving my own site. I look forward to seeing more content from you in the future. I’ll definitely be swinging by your blog, it’s lovely to meet another wow blogger!